Here is the list of top 10 Best File Sharing Sites. With the help of these sites, you can easily transfer your files to you or your team on any computer or mobile device. Before discussing the Online file sharing sites, I would like to write a short introduction on File Sharing. It is the practice of distributing or providing access to digital media, such as computer programs, multimedia (audio, images and video), documents or electronic books. File sharing may be achieved in a number of ways. There are a lot of reasons to use cloud storage, whether it be to share some files with a friend or make your business easier. Also, there is a fact that file sharing sites are notorious for being abused as a source for piracy, still they are commonly used for legitimate purposes. Cloud storage is a model of online storage, in which data is stored on multiple, distributed servers on the network provided for use by customers, mainly third party. And the third parties are the websites that today we are going to discuss in this post on Tips2secure. Ok. Let's start writing the list of Free file sharing sites. You can also share large files using these sites. 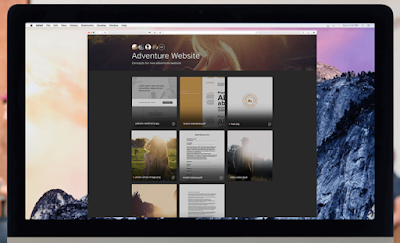 4shared is a perfect place to store your pictures, documents, videos and files, so you can share them with friends, family, and the world. It is a free file sharing and storage. It provides Online file sharing and storage of 15 GB free web space. Easy to register. It has file upload progressor. You can transfer multiple files. Downloading is also fast. Dropbox helps you to get to all your files from anywhere, on any device, and share them with anyone. It provides free space of 2 GB. Registration is compulsory to use this file sharing site. It provides slow uploads and downloads although this is one of the most well-known file sharing sites, it’s mostly because they spend millions on marketing and advertising. It offers 15 GB of free space. You can store up to 15 GB of content shared between Google Drive, Gmail, and Google+ Photos for free. If you use Google Apps at work or school, you have at least 30 GB of storage. If you're approaching your limit or if you've run out of storage, you can buy storage or free up storage space. The biggest complaint most people have about Google Drive is that ou can't sign up for a free personal Google Drive account without creating a general Google account. Anyone can get a free OneDrive account—well, anyone who's created a Microsoft account, which includes everyone who's ever signed up for a Hotmail, Live, or Outlook.com account. Get OneDrive on all of your devices and access your photos, videos, documents and more from almost anywhere. Microsoft's One Drive provides free storage of 5 GB for transferring files. Microsoft will change its free storage from 15GB to 5GB and offer a $2 per month for 50GB paid plan instead of its earlier offerings. It will also no longer let you earn free storage. Supported operating systems are: Windows, Mac, Android, iOS, Windows Phone. 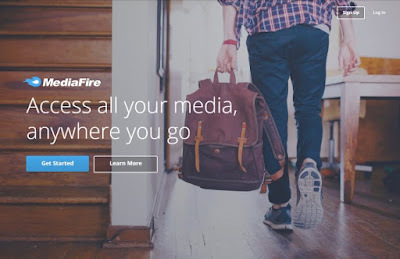 Mediafire is the file hosting website has been up since 2005 and has since attracted nearly 60 million visitors per year. Basic users don’t have to pay a penny, and in return get access to 10GB of free space, which can be increased to 50GB by inviting friends and performing tasks such as installing the MediaFire mobile app and connecting to your Facebook account. 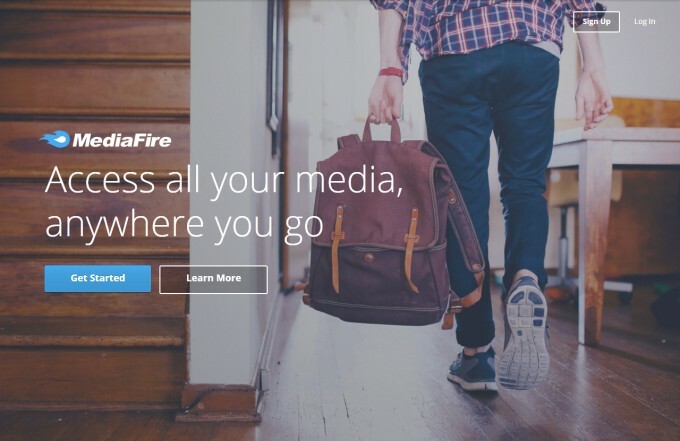 If you want to try out a Pro or Business account, then MediaFire operates a 30-day money back guarantee beginning on the date of purchase, and payment can be made using all major credit cards. 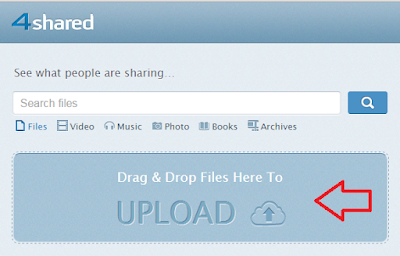 Zippyshare doesn’t appear to have a limit to how many files you can upload. The catch is that you can only upload up to 200mb file size, and all files are removed after 30 days. Additionally, there doesn’t appear to be a premium option to keep files for longer or increase file size. As a result, there are limitations with this service. With iCloud Drive, you can safely store all your presentations, spreadsheets, PDFs, images, and any other kind of document in iCloud. Documents you store in iCloud Drive will be kept up to date across all of your devices, and you can access them from your iPhone, iPad, iPod touch, Mac, or PC. iCloud backs up your data daily over Wi-Fi and can restore it all if you ever need it. And those are just two of the many ways iCloud has your back. For new Apple devices, there's a setup assistant built right in. Apple provides users just 5 GB of free iCloud Drive space, but as you add photos and documents to your iOS devices that allotted free space can fill up quite fast. There are ways to manage your iCloud storage rather than paying for more space. Syncing and storage tool Box is easy to use and highly customizable, letting you integrate your account with a wide range of apps and services. It offers both paid and free services, with the paid options a little more tailored for business rather than personal use. It provides 10 GB of free space. Uploaded offers 2GB of free storage space, which have no expiration date as long as you create an account. They have a difficult to understand premium program, in two separate areas. One, as a downloader you can buy premium to get full download speed and additional features. The other plans are for increased storage space as an uploader but it is very, very expensive. HighTail is one of the most popular file-sharing sites on the internet. It provides 2GB upload limit and a 250MB file size limit. The small amount of free storage leaves more to be desired. Others offer better plans. We have given our best to find out and collect this list of best file sharing sites. But we are still waiting for your comments to know your experiences and suggestions with these sites. If you have any site that you want to add here, please do a comment or write us. We will check, analyze and add. Message: I hope that you have enjoyed 'Top 10 Best Online File Sharing Websites for Free 2019' article. However, if you want me to deliver more articles then please share my post. You can use Social Sharing Widget provided at the end of every post. After all, Sharing is Caring! iDeals solutions VDR offers a secure and highly efficient method of sharing critical business information. Key parties can access relevant documentation within seconds, from anywhere around the world, reducing cost and increasing the speed of a transaction. I am glad you liked my work and this post too. Keep reading this blog regularly to have amazing articles like this one. The list is great. I was looking for document sharing website. I must say Google Drive is the best option for me.